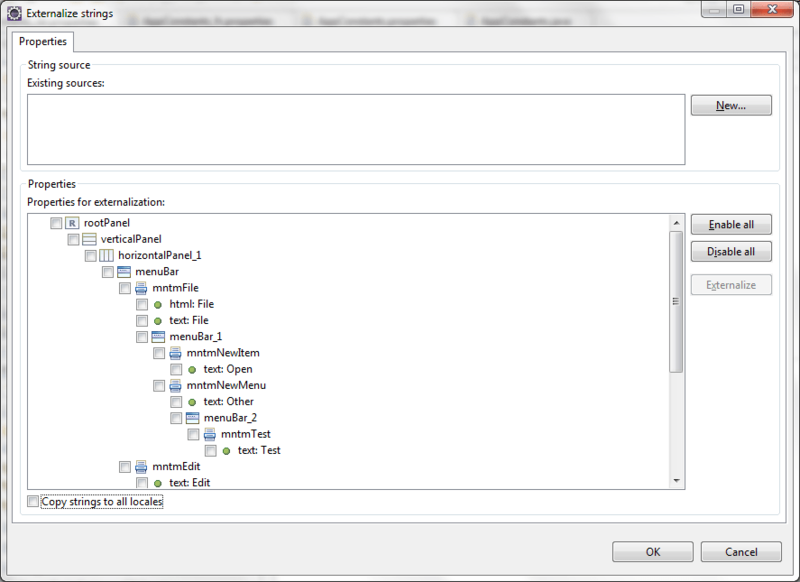 In previous articles, I have related the prerequisites, the configuration of a GAE account, the creation of a new Eclispe project with the type “Web Application Project”, the deployment of an application on the GWT embedded server named Jetty, the evolution of the interface with GWT Designer, the deployment of an application on a Jboss server, on a Tomcat server and on GAE cloud with application versioning on GAE. 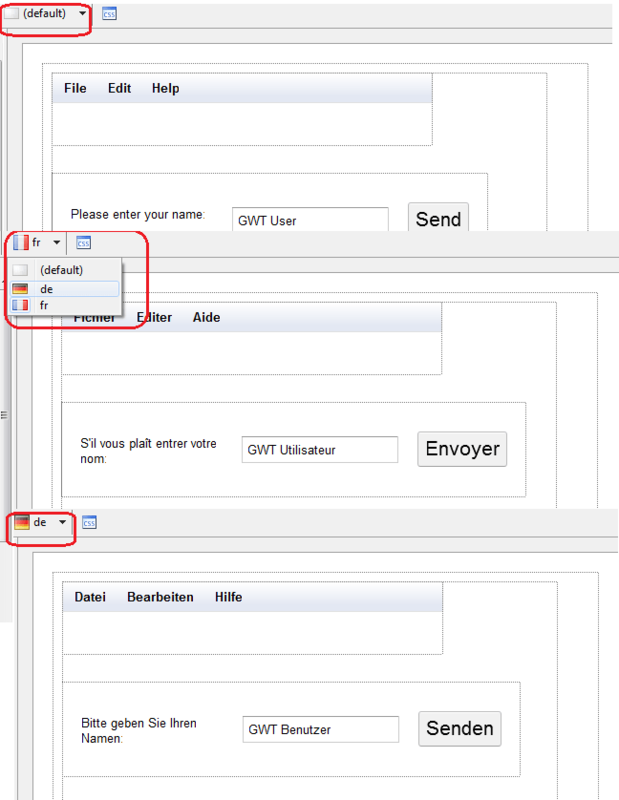 In this article, we will discuss about the Internationalization (i18n)/Localization of the GWT application. 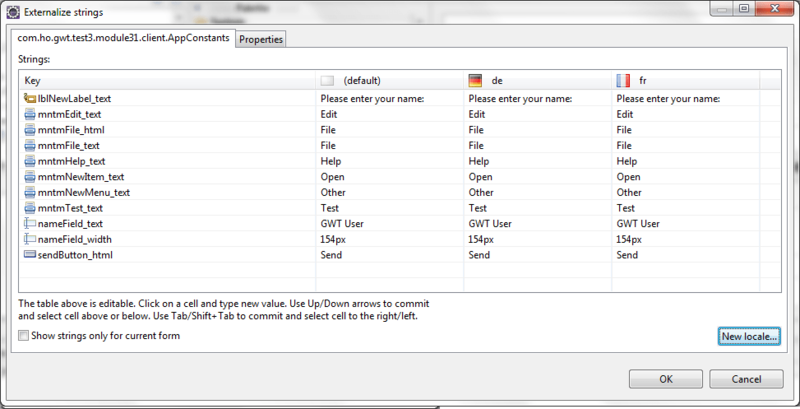 Google provides a powerful tool for the internationalization (i18n) support in the GWT Designer. 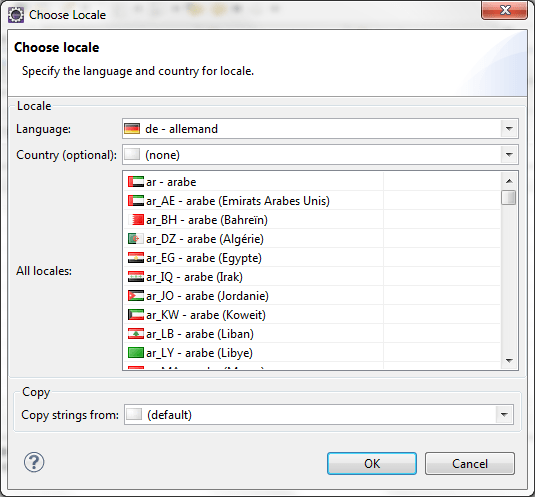 It can externalize component strings, create and manage resource bundles for multiple languages, switch locales on fly and edit translated strings in context. 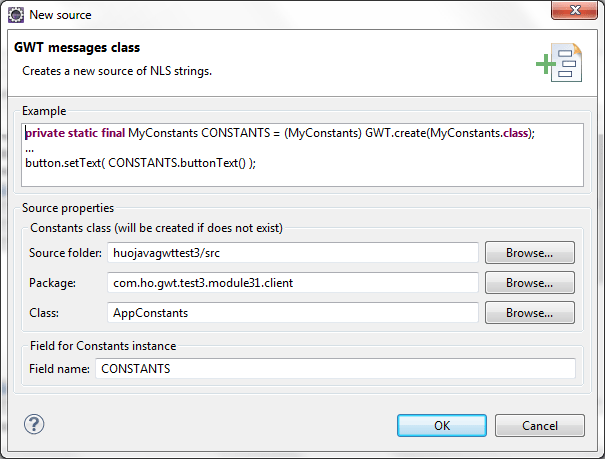 Note: This Externalize Strings dialog presents the hard coded string properties assigned to any component within the window. 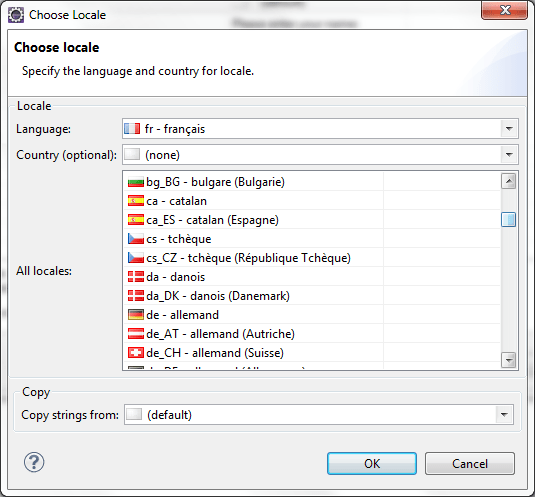 If any NLS National Language Support string externalization sources have been created for other classes in the same package, they will be listed in the Existing sources list. 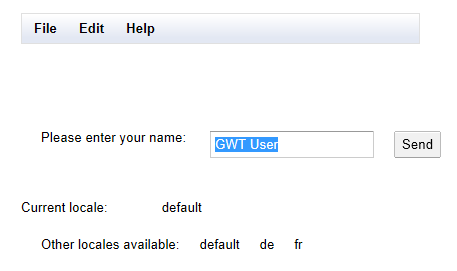 GWT represents locale as a client property whose value can be set either using a meta tag embedded in the host page or in the query string of the host page’s URL. 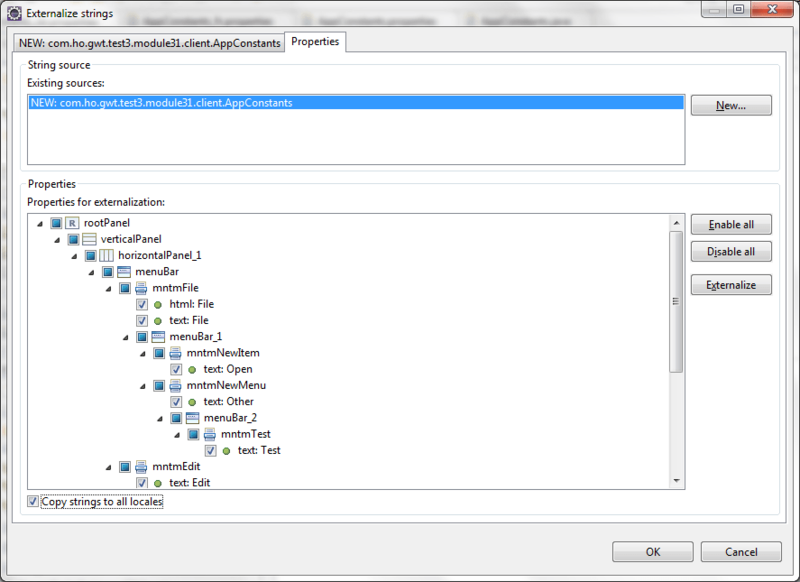 Rather than being supplied by GWT, the set of possible values for the locale client property is entirely a function of your module configuration. 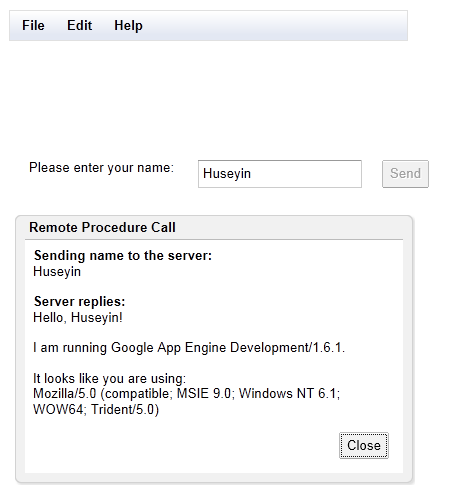 At this stage, we will compile our application and deploy it on GWT embedded server named Jetty. 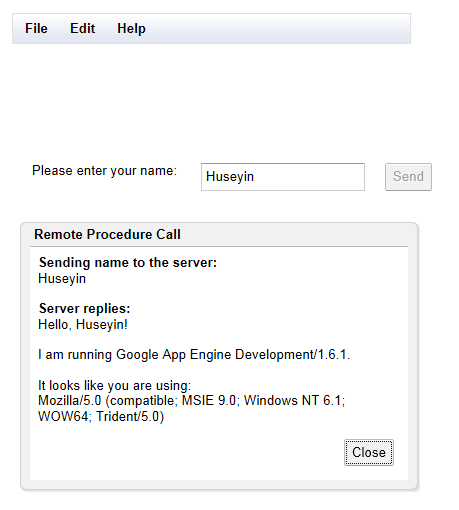 To deploy an application in HOSTED mode (DEVELOPMENT mode) on the server JETTY embedded in GWT framework see the post GWT/GAE: Deployment an application on GWT embedded server named Jetty in Hosted mode. 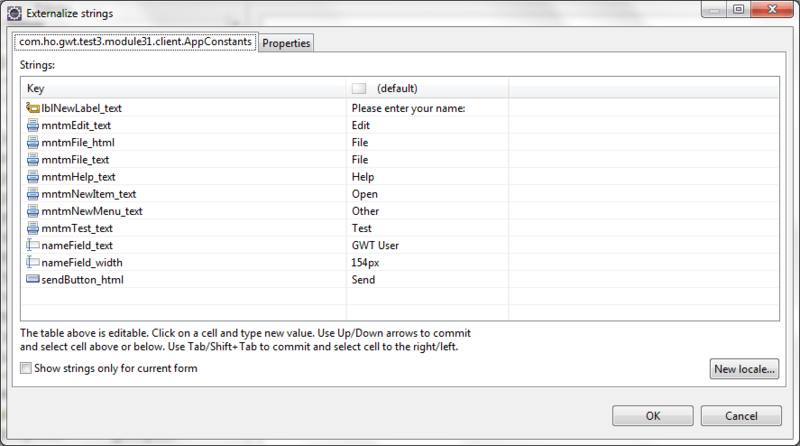 menu_label_text=Why did you clicked on item 121? 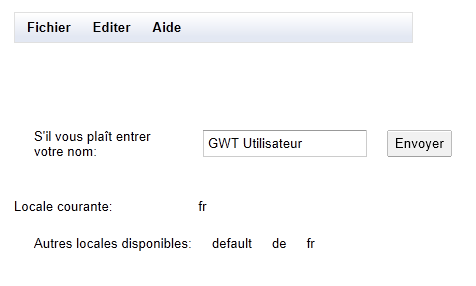 menu_label_text=Pourquoi avez-vous cliqué sur le point 121? 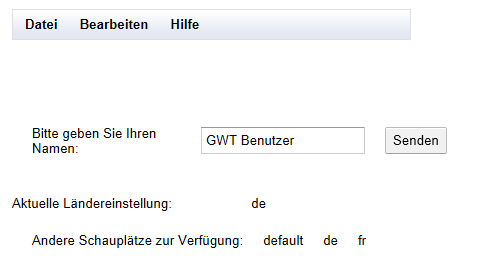 menu_label_text=Warum haben Sie klickte auf Artikel 121? 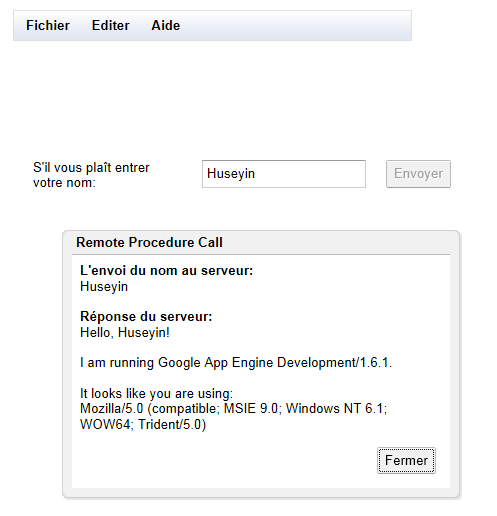 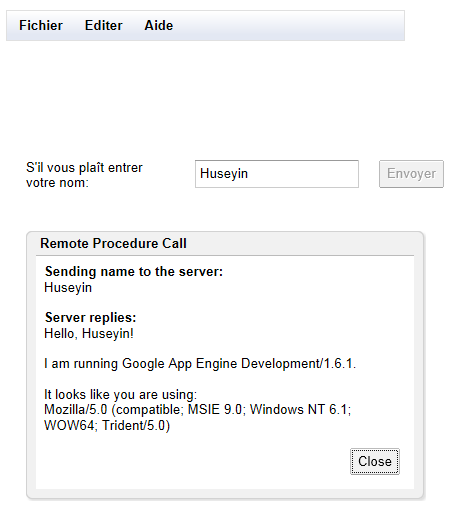 Some words, concerning the response of server in above screenshots, it is only in english “Hello Huseyin, I am running…” because we have only modify the client side of our application. 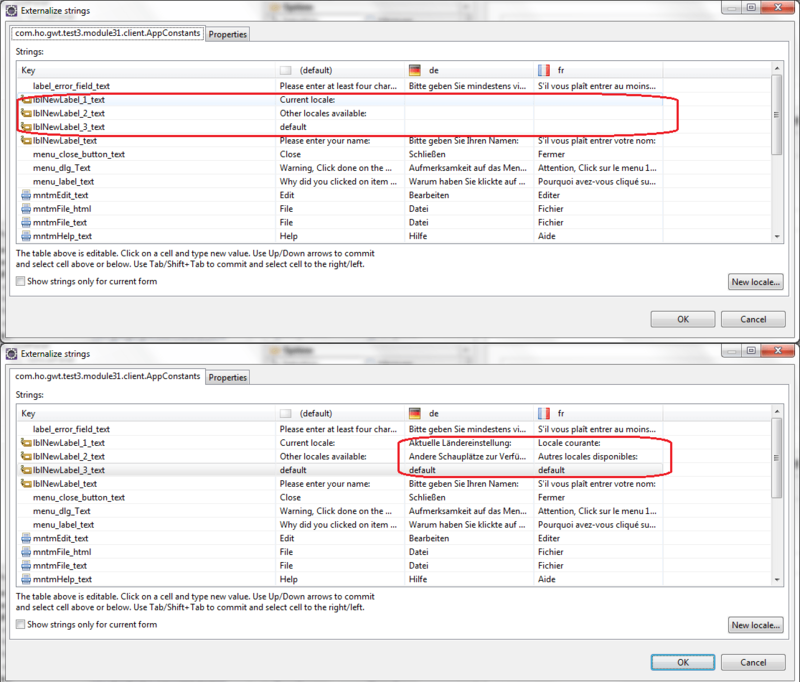 For the server side, it is necessary to set the Locale in Session on server side, or to add the parameter “locale=…” during all requests to server. 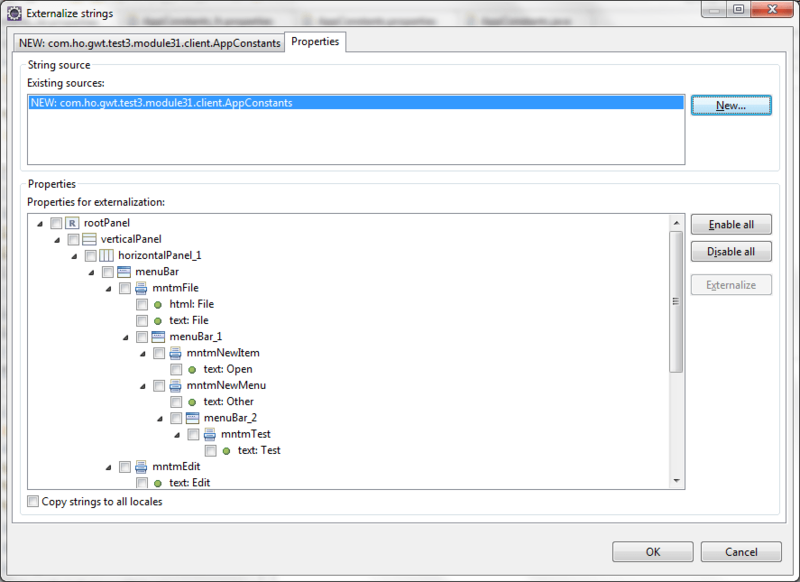 In this serie of articles (PART1 to PART4) concerning GWT SDK 2.4.0 (Google Web Toolkit), GAE (Google App Engine), we have developed a Web application by using JDK 1.6, GWT 2.4 and Eclipse 3.7. 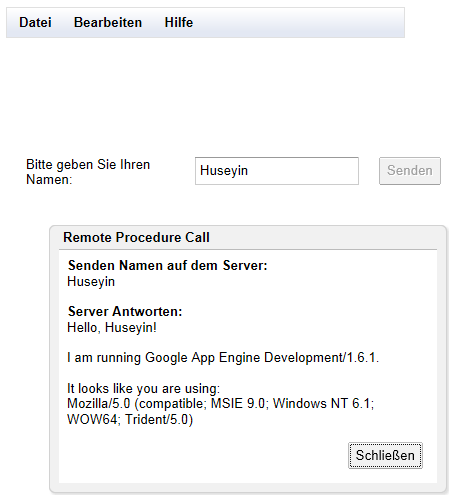 I have also related the prerequisites, the configuration of a GAE account, the creation of a new Eclispe project with the type “Web Application Project”, the deployment of an application on the GWT embedded server named Jetty, the evolution of the interface with GWT Designer, the deployment of an application on a Jboss server, on a Tomcat server, on GAE cloud with application versioning on GAE, and finally the Internationalization (i18n)/Localization of the GWT application.